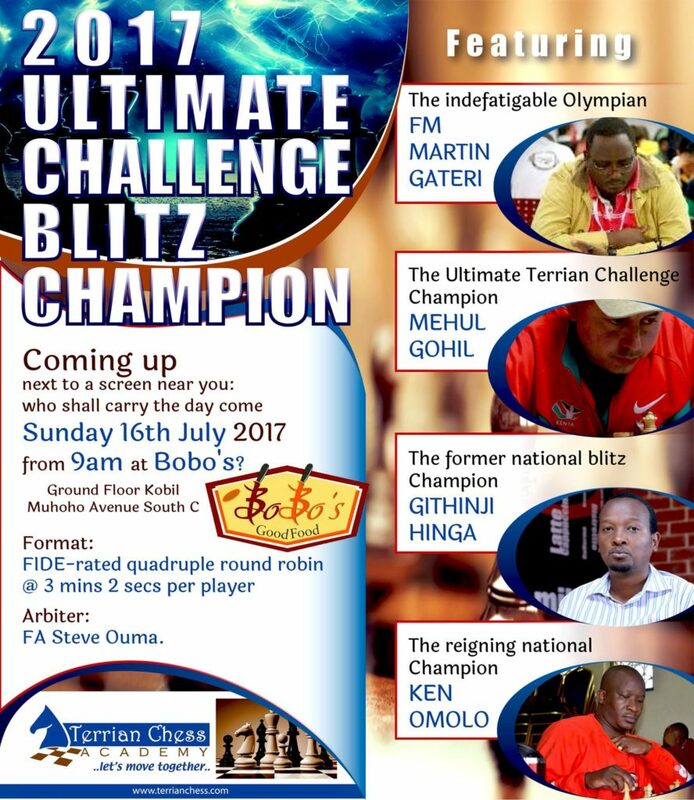 Bobo’s Restaurant in South C is expected to see a flurry of activity during the 2017 Ultimate Challenge Blitz Championship which will be held on 16th July 2017 starting from 9am. The 2017 Ultimate Blitz Challenge will see 4 of Kenya’s best players in action. 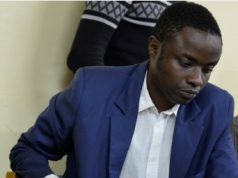 Leading the pack will be Kenya National Champion Ken Omolo who is rated 2080 and a veteran of the 1998 and 2000 Chess Olympiads. 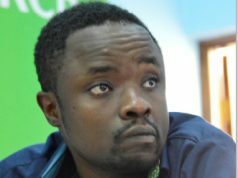 Githinji Hinga is the highest rated at 2119 and a member of the 2012 Chess Olympiad and the 2011 All African Games team. Mehul Gohil is the second highest rated player in the pack at 2088. 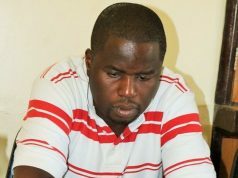 He was a member of the 2012 Chess Olympiad team and the 2011 All African Games. Ranked at the bottom is blitz aficionado FM Martin Gateri who is rated 2068 but who has played in 5 Chess Olympiads including the 2002, 2006, 2008, 2012 & 2014 editions. This 12 round event will see contestants meet each other 4 times to select the winner of this gruelling event. The event has been organised by Terrian Chess Academy and live transmission will be available on 2017 Ulitimate Blitz Challenge.